Purchase Artificial Grass and Putting Greens in San Antonio, TX. Celebrity Greens of San Antonio is your authorized dealer and installer of premium artificial grass products throughout San Antonio, including Alamo Heights, Brackenridge Park, Uptown Central.New Braunfels, Schertz, Segun, Boerne, Canyon Lake, Cibolo, Converse, Leon Valley, Live Oak, Timberwood Park, Universal City, Fair Oaks Ranch, Floresville, Helotes, Hondo, Kirby, Lakehills, Pleasanton, Selma, Windcrest and then entire surrounding area. 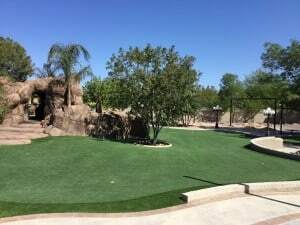 Celebrity Greens San Antonio only installs Artificial Grass products that are top quality, performance driven and environmental-friendly. Offering only the highest golfing performance, environmentally friendly, Artificial Turf products available! 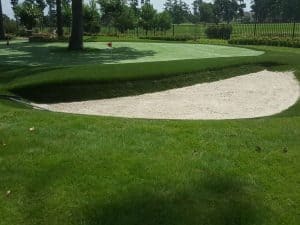 We install all sports surfaces, as well as certified playground surfaces, and we specialize in designing and installing the most advanced sand filled, artificial grass putting greens available today. Our Artificial Putting Greens can be installed indoors and outdoors. We offer a portfolio of design features including sand traps, water hazards, custom lighting and many other amenities to excite the game of golf.